Become part of 11 years old company, and start selling Domain, Hosting and much more with huge margins. SO what do you get for $49. 2. Domain margins set for the first time. 3. Hosting margins setup for the first time. 4. Two Step authentication with your mobile number to login to the dashboard. 6. Logo and contact details setup. 7. Free chat engine on web store with Mobile apps. 8. Sell domains and hosting in less than 24 hours. 10. Free knowledge base and walkthrough for your customers. 1. Domains - Over 500 + TLDs. As you can see the list is so much that you can almost every TLD, and also sell every service related a website. This will give you an option to be the one point solution provider for any business owner. Now all you have to do is buy this service and we will do the rest, while you can monitor the service and start making money. All you have to do is marketing of your webstore. SPECIAL OFFER - This service can be provided for just $1, if you are from Malaysia / Singapore / Indonesia / Thailand - you can get this service for just $1 - all you need a domain name and contact details. We will provide free store, hosting, emails, chat application, email marketing solution, CRM and also a free platform for support. 24/7 help marketing help to increase your sales in these countries, free social media marketing tools and much more. 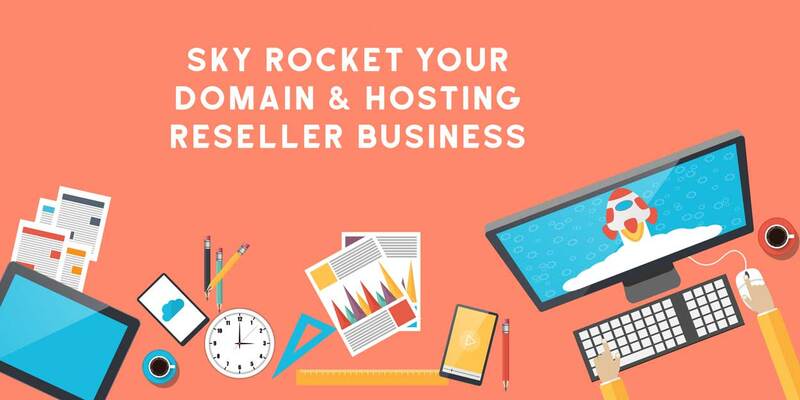 Become Domain and Hosting Reseller with Webstore is ranked 5 out of 5. Based on 1 user reviews.